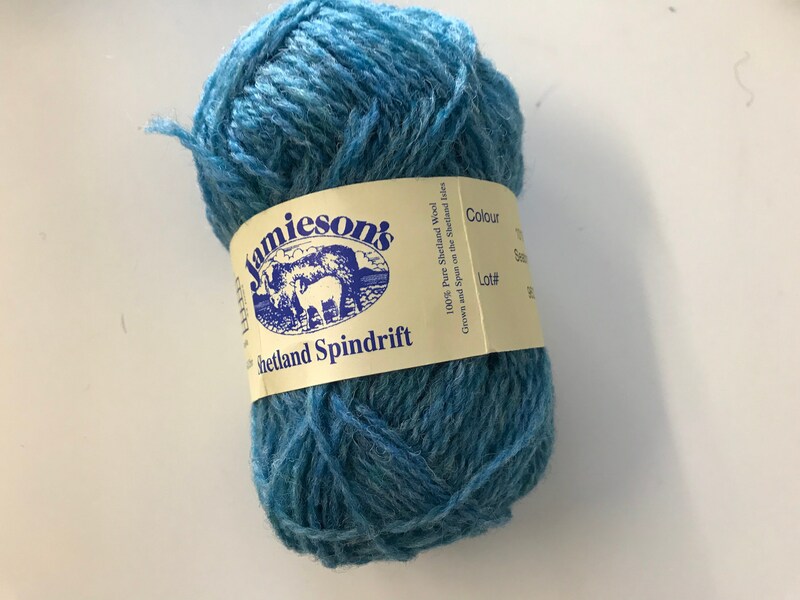 This is a beautiful sea blue/green colour of Jamieson Spindrift yarn. It is a wonderful yarn to use and knits up into hard wearing but beautiful accessories and garments. 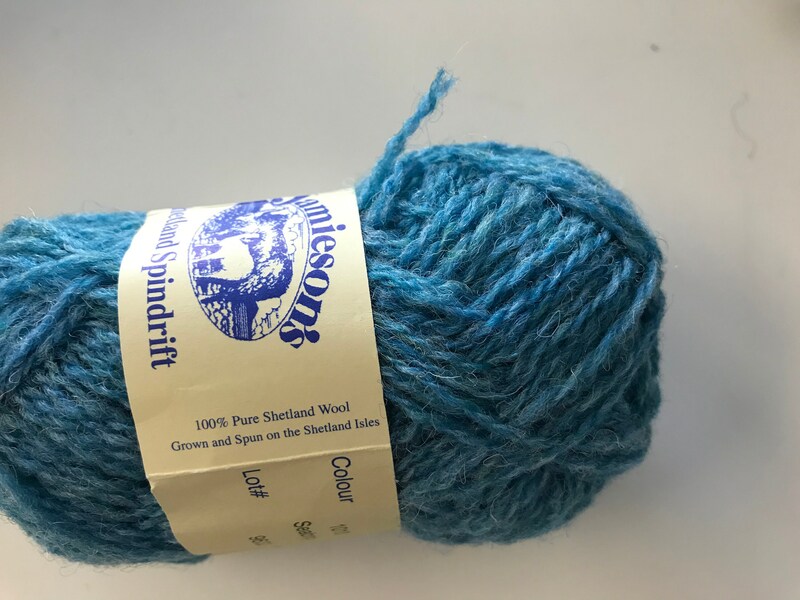 It is the traditional yarn used for Fair Isle knitting. 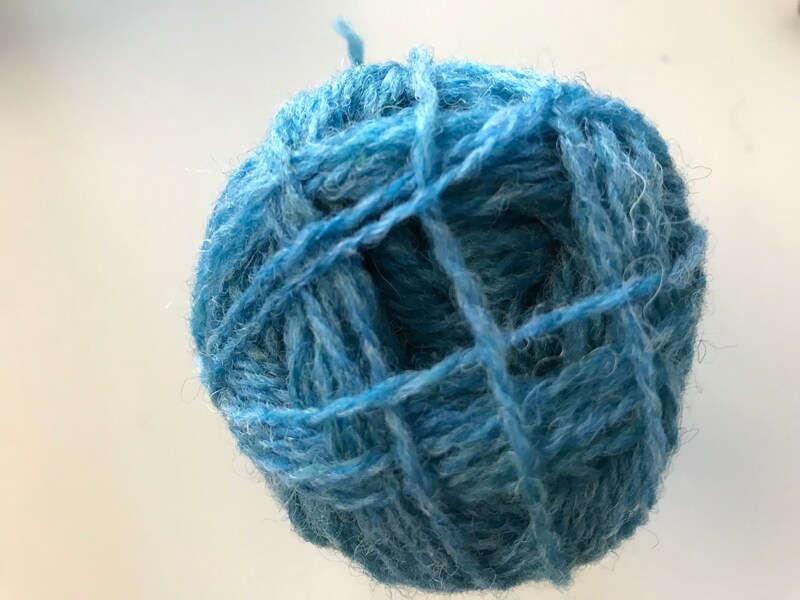 I have knitted both traditional tams and keps and sweaters with this yarn and the results are always stunning. 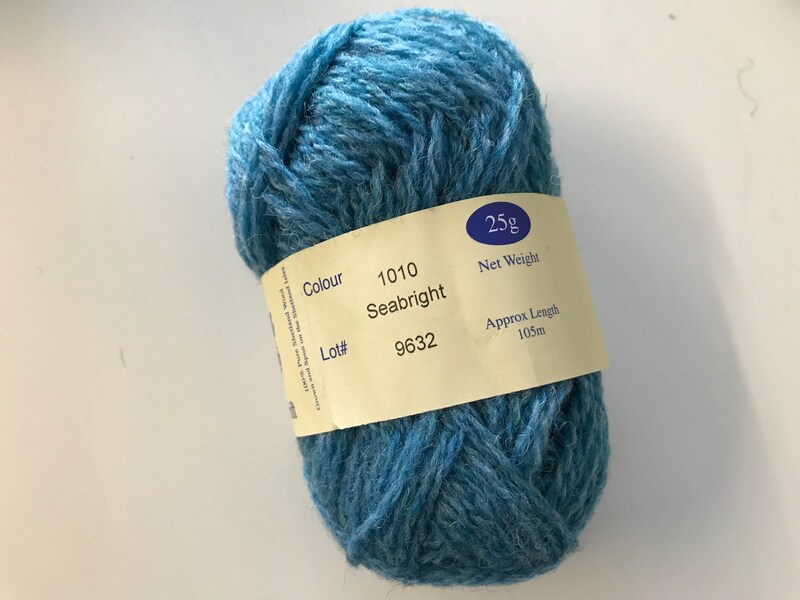 Spindrift yarn is 100% pure Shetland wool and is grown, shorn and spun in the Shetland Islands.